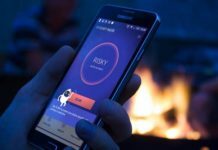 Fix Clash Royale Errors: Clash Royale displaces Pokemon Go as the popular App on App Store and Play Store. The maker of Clash of Clans has come up with an interesting game this time. I have been playing this game since the launch and during the gameplay, I encountered many problems. 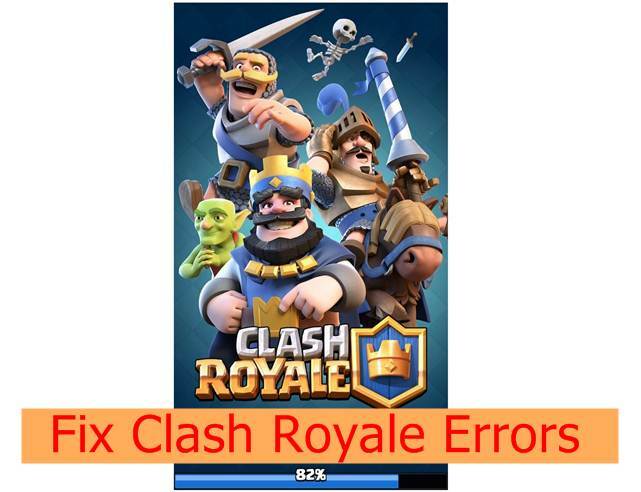 I have put together all the fix Clash Royale Errors, issues and problems and common with a suggestion on how to fix it or avoid it. So are you ready to unlock the full power of Clash Royale? Ok then let’s get started. If you find this error while opening or playing the Clash Royale, then obviously it will be disturbing your game play. To you rejoice, there is a fix available as well. Turn off your device because we need to boot your device into recovery mode. Now from the Recovery menu, clear the cache. 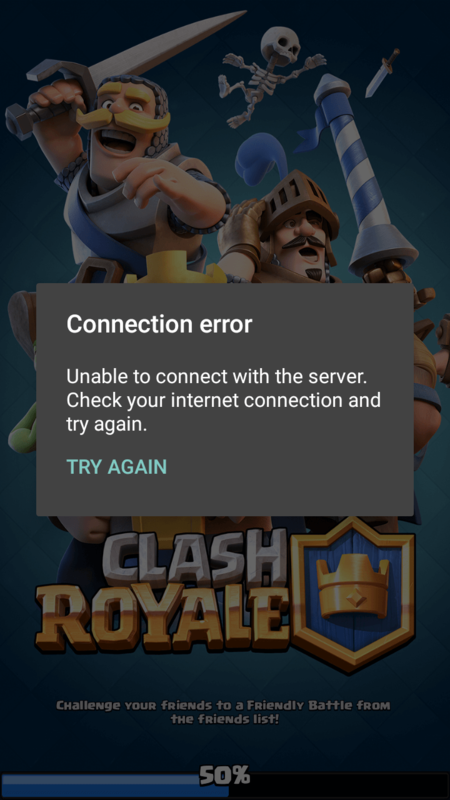 Clash Royale Connection Error is one of the most common error that people have reported. 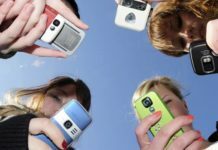 The possible reason why it happens is because of the poor or no Internet connectivity. Even if you have Internet connectivity, some packets might be lost due to transmission or you might not receive them fast as the pace of the gameplay. Faster Internet speed is the only solution. The game works perfectly with 10 Mbps on my side with ACT Fibernet. 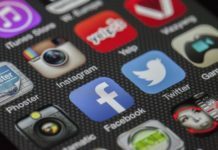 This happens often when you are connected via data connectivity. If you want to avoid this error, the remove auto connects or Auto under mobile network which automatically switches you to 3G when 4G is not available, 3G to 2G when 3G connection is having a problem. Or if you use a broadband which requires logins, then configure auto login option just like I did on my ACT Fibernet. I know this is a big problem because during the gameplay you can’t stop in between and there isn’t even Pause button. The game continues even though are not you have lost the Internet connectivity. Now, this is something relating to game play. 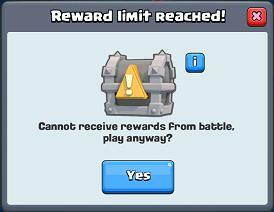 If you are addicted and playing the game continuously for hours, then you will see that reward limit is full. You can at a time have only four rewards. The only possible solution is to wait for that timing or unlock them instantaneously but it might cost your gems instead. 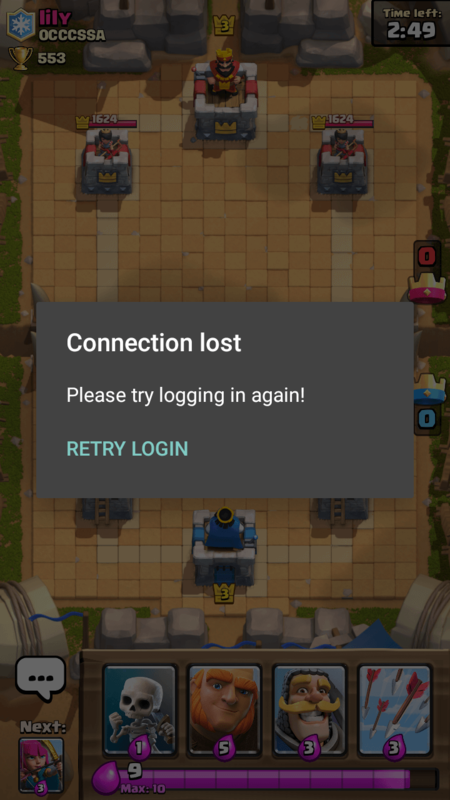 There is nothing you can do about this Clash Royale error. Actually, it’s not an error, its just emoji usage at a time has reached its limit. So, those were the most common Clash Royale errors that we have come with fix. Do let us know if you face any issues with the Clash Royale, we will help you to fix it.